Here we see a photo looking down Silver St. from the Long Lane end. The picture is not very clear but it is very old – probably taken about 1890. We see a group of women and children evidently in their Sunday-best clothes. 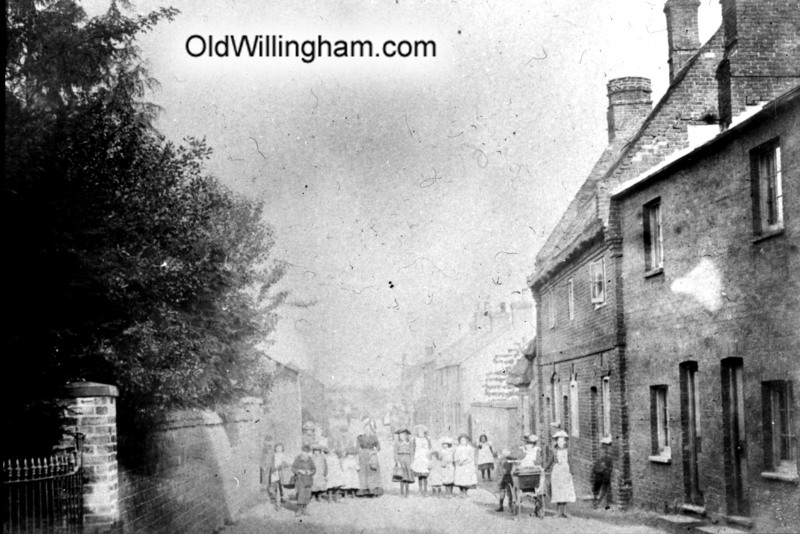 We might wonder why there are no men in the picture –but then there were over twenty pubs in the village in those days! What is interesting about this picture that if you stand in the same place today, over 120 years later, the view is almost the same– at least with regard to the buildings!